A three Judge Bench of the Supreme Court today in Ansar P.V. vs. P.K.Basheer & Ors., overruled the the statement of law on admissibility of secondary evidence in Parliament Attack Case [State v. Navjot Sandhu alias Afsan Guru (2005) 11 SCC 600] to the extend pertaining to electronic record. 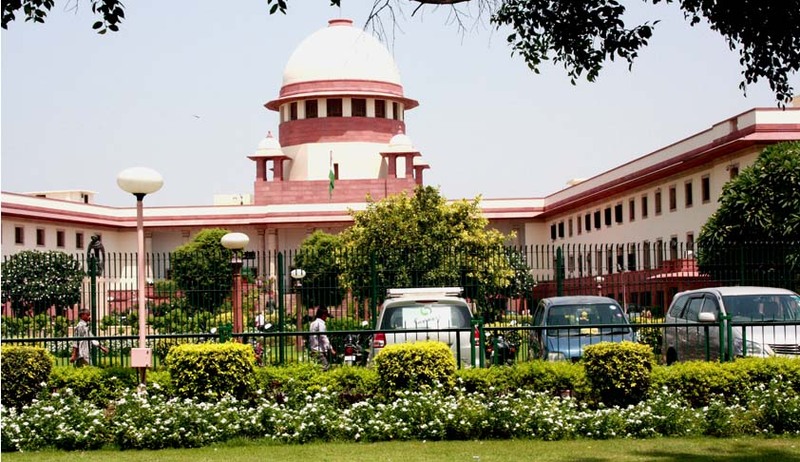 The Bench comprising of Chief Justice Lodha, Justice Kurian Joseph and Justice Rohinton Nariman held that “the evidence relating to electronic record, being a special provision, the general law on secondary evidence under Section 63 read with Section 65 of the Evidence Act shall yield to the same. Generalia specialibus non derogant, special law will always prevail over the general law. It appears, the court omitted to take note of Sections 59 and 65A dealing with the admissibility of electronic record. Sections 63 and 65 have no application in the case of secondary evidence by way of electronic record; the same is wholly governed by Sections 65A and 65B. To that extent, the statement of law on admissibility of secondary evidence pertaining to electronic record, as stated by this court in Navjot Sandhu case (supra), does not lay down the correct legal position. It requires to be overruled and we do so”. (iv) The information contained in the record should be a reproduction or derivation from the information fed into the computer in the ordinary course of the said activity. (e) The certificate must be signed by a person occupying a responsible official position in relation to the operation of the relevant device. It is further clarified that the person need only to state in the certificate that the same is to the best of his knowledge and belief. Most importantly, such a certificate must accompany the electronic record like computer printout, Compact Disc (CD), Video Compact Disc (VCD), pen drive, etc., pertaining to which a statement is sought to be given in evidence, when the same is produced in evidence. All these safeguards are taken to ensure the source and authenticity, which are the two hallmarks pertaining to electronic record sought to be used as evidence. Electronic records being more susceptible to tampering, alteration, transposition, excision, etc. without such safeguards, the whole trial based on proof of electronic records can lead to travesty of justice. Only if the electronic record is duly produced in terms of Section 65B of the Evidence Act, the question would arise as to the genuineness thereof and in that situation, resort can be made to Section 45A – opinion of examiner of electronic evidence. The Evidence Act does not contemplate or permit the proof of an electronic record by oral evidence if requirements under Section 65B of the Evidence Act are not complied with, as the law now stands in India. It is relevant to note that Section 69 of the Police and Criminal Evidence Act, 1984 (PACE) dealing with evidence on computer records in the United Kingdom was repealed by Section 60 of the Youth Justice and Criminal Evidence Act, 1999. Computer evidence hence must follow the common law rule, where a presumption exists that the computer producing the evidential output was recording properly at the material time. The presumption can be rebutted if evidence to the contrary is adduced. In the United States of America, under Federal Rule of Evidence, reliability of records normally go to the weight of evidence and not to admissibility. Proof of electronic record is a special provision introduced by the IT Act amending various provisions under the Evidence Act. The very caption of Section 65A of the Evidence Act, read with Sections 59 and 65B is sufficient to hold that the special provisions on evidence relating to electronic record shall be governed by the procedure prescribed under Section 65B of the Evidence Act. That is a complete code in itself. Being a special law, the general law under Sections 63 and 65 has to yield. It may be seen that it was a case where a responsible official had duly certified the document at the time of production itself. The signatures in the certificate were also identified. That is apparently in compliance with the procedure prescribed under Section 65B of the Evidence Act. However, it was held that irrespective of the compliance with the requirements of Section 65B, which is a special provision dealing with admissibility of the electronic record, there is no bar in adducing secondary evidence, under Sections 63 and 65, of an electronic record.